Sometimes it's all about blocation, blocation, blocation. 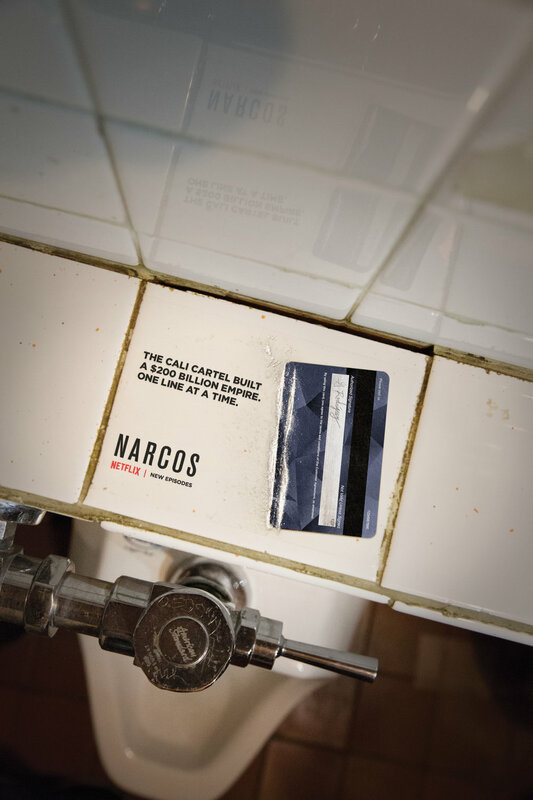 So we put ads for Narcos right under fans' noses. 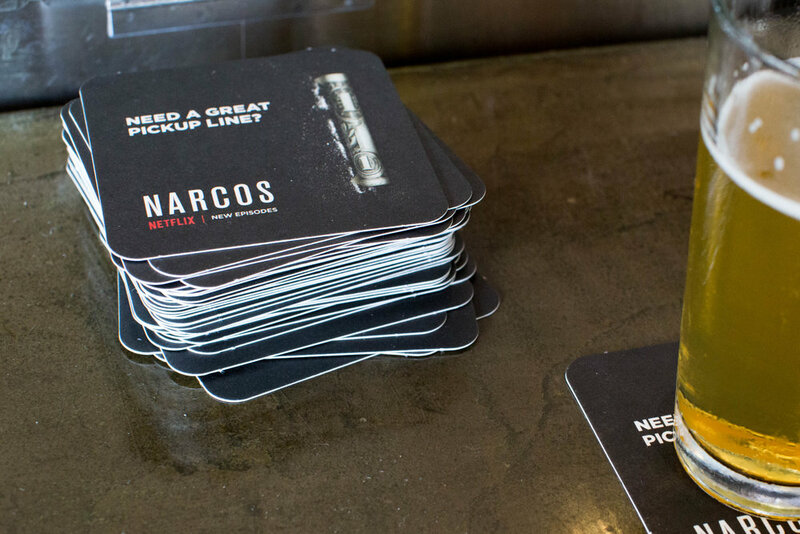 These deceptively life-like clings of Colombian powder were placed in bars and clubs in NY, LA, Chicago and Miami. Adweek's coverage of the campaign's launch.